New features include Timeline and Focus Assist, as well as upgrades to Edge and Cortana. 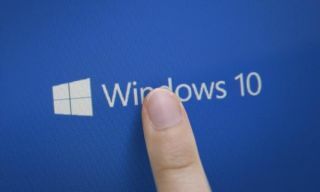 The latest update for Microsoft's Windows 10 is here and it's bringing a few nifty new features to the popular operating system. Called the April 2018 Update, the patch is available to download starting today, and will start to roll out to Windows 10 machines everywhere on May 8. Among its standout features are timeline, focus assist and dictation, as well as a bunch of updates to Edge, Microsoft's newest internet browser. Timeline lets you go back in time to see what you were working on in a specific moment in time. Even though it sounds like something straight out of a Marvel movie, it's essentially a list of all the things you did in the past 30 days, allowing you to find the stuff you were working on and continue where you left off. Focus Assist is just that – assists the user with staying focused on the task at hand, blocking all notifications until the feature is turned off, or a specific point in time is reached. Then, the user gets a summary of all the things that happened during their time “off”. Edge now also has the mute option on tabs, and users can go full screen with stuff like PDF files and books. And finally, there’s the dictation feature which allows the user to dictate content to the computer. After opening any text field, just press Win + H and start talking. You can find the full list of updates on this link.